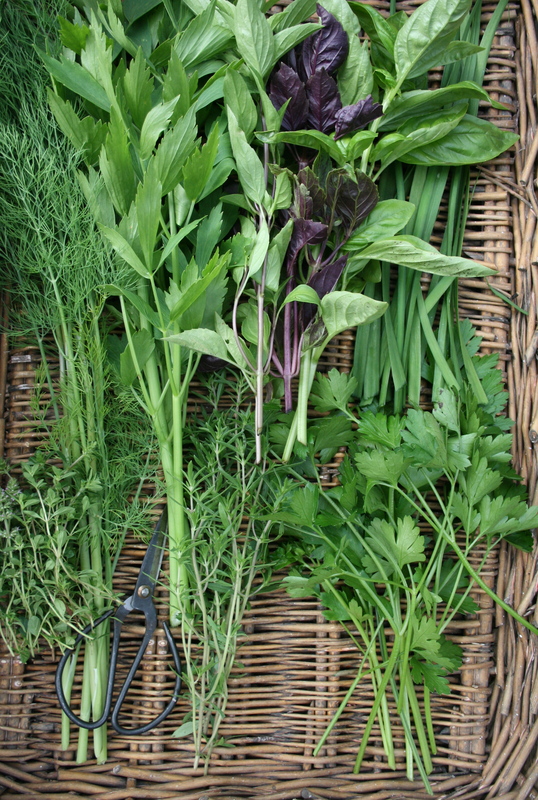 I’m sharing some easy ways to use Herbs in the kitchen. These look so vigorous and healthy. Hope your talk is well attended! The talk went very well Eliza, I really don’t like to talk in front of people, but once I get started on Herbs–and then combine Herbs and food, I can chat up a storm! Have fun! I’d totally love to attend if I lived in the neighbourhood. Hey? What do you use Lovage in? I’ll be at my Art Journaling class that day, then Wednesday I fly to California for a 7 day hook up with Alys of Gardening Nirvana. Life is good! oops, left an answer to your comment as just another reply! Come back and read it! Hugs. How fun are your travels! Jealous!!! I like Lovage in salads all summer long, then I dry up a big batch. Good as a dried Herb in soups and stews.